I am guilty of saying some of these and I have heard many parents use some of these too. We are all guilty of using them, but let’s put a stop to that. Let’s help our children have a great relationship with all foods. If you see them making an interesting combination of foods, don’t say out loud how weird their recipe is as this will dampen their creativity and willingness to try new foods. My son mixes or used to mix scrambled eggs and yogurt. All my husband and I did when we saw this is look and smile at each other, and then ask to try some of his concoction. This comment places vegetables in a different category as the rest of the foods. The more we emphasize the importance of vegetables, the more kids will think badly of them and will have the tendency to reject them. Children are impressionable. Saying these words within earshot of your child will push them to live up to this label. If they hear all the time that they are picky eaters, they won’t try to change it. Instead they are likely to start believing what you say and behaving according to this label. Giving your child too much control over what they eat or not giving them enough control are two extremes we can easily fall into. Finding the right balance can be tricky. I understand how frustrating it can be when your child does not want to eat any of the foods you offer them. Giving them too much control often leads to them choosing the 5 or so foods they like. They won’t try to explore new foods, and they will believe that they are in control over what foods they can eat. This would be ok if they were to make healthy choices, but most children won’t. On the other hand, no choice at all will frustrate them and push them to rebel. I used to say this to my son, but now I rephrase it a bit and say instead: “After you eat this, you can have dessert”. It does not sound much different, but in fact it is. It makes the food we want them to eat less scary and it makes it sound like it is not a big deal to eat it first. Allow your child to feel full and decide to stop eating instead of forcing them to eat when they are full. Eating more when they are already full teaches them not to listen to their body’s cues to stop. Give them a small amount of food initially (remember they can’t eat as much as us, adults) and when they finish it, offer them more. Respect if they feel they had enough. If you, your partner, or siblings say these words, they will influence your child’s opinion on that particular food. My husband and I already know not to say these words, but sometimes our oldest says them and we have to remind him (again) to keep these thoughts to himself as they influence his little sister’s eating habits. We have a close family member who does not like spicy foods and is very vocal about that. My kids heard them say this and one day my son decided he did not like spicy foods either. 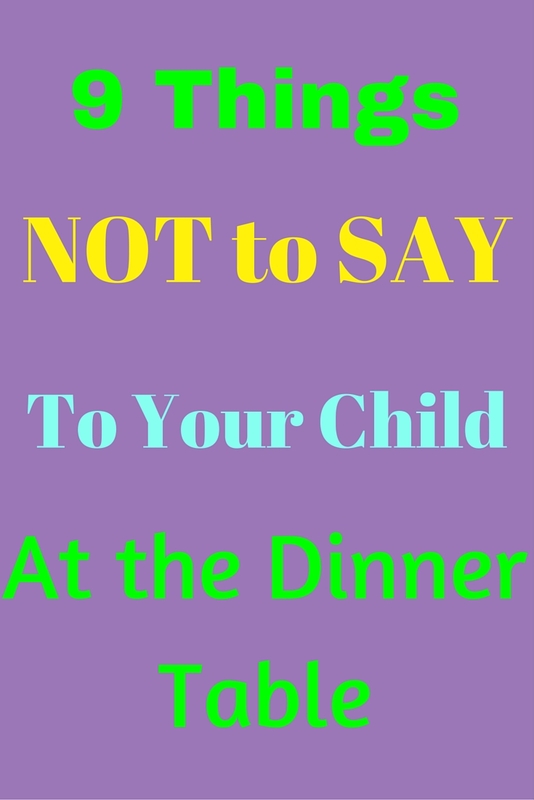 This was a hard thing for my husband and I to digest as we are very careful about what we say at dinner table as we don’t want our own food preferences to dictate our children’s. Even more, we enjoy spicy foods (my husband more than me). Since then, my husband and I kept reminding our son that he might not like them now, but by trying a bite each time we eat some, he might learn to like them too. Sure enough, our efforts paid off after about two years (yes, it was years). I was at a restaurant in Banff with my son and we were planning on eating there for lunch. I had not realized that the entire menu was at least mildly spicy. We ended up ordering quesadillas as I remembered my son had it before and he truly loved it. I was hoping that his love for quesadillas, combined with the fact that he was hungry and happy to be allowed to eat gluten and dairy during out trip, would help him past the fact the food was spicy. (I am overdue on an update on how my son is doing on the gluten and dairy-free diet. I’ll share the update with you soon). And I was right! He ate his share of quesadilla. Even more, he confessed his love for spicy foods. When he saw his dad later that day, the first thing he said was that from now on he likes “a bit spicy foods, but not too spicy”. And this is his story since then. The other day he asked to eat some chili flakes on their own and he was proud he did not need to drink any water after. People who eat with you (including family members) will make negative comments once in a while about the foods they eat. If you know this is the case, you can gently ask them prior to dinner (outside earshot of your child) not to make derogatory comments about food. If you know this is not possible, then you can lessen the impact of their words on your child at the dinner table by adding a nice attribute about the foods they target. For example: “This food might be a bit spicy, but look at its beautiful, vibrant colors. It must give us lots of energy to play”. Allow your child to try new foods. Don’t stop them from trying new foods when someone offers. Don’t interfere with your child choosing what foods they like or don’t. Like calling them a picky eater, they may believe that they don’t like a food if they hear this. They might have not liked that particular food in the past, but today is a new day and this could be the day that they try the food and like it. Having it offered in a different context might make all the difference. 9. Not saying “thank you for the meal” and not acknowledging the effort and love that went into preparing it. Teaching children to be grateful and thankful for the food they eat and the person that made the meal is another important perspective they need in their life. This will also make them more mindful of the food, which hopefully help them enjoy it. What do you think of this list? Are you guilty of using some of these phrases? Please don’t feel guilty. Acknowledge that you use these phrases, talk to your spouse/partner about it, and commit together to avoid these phrases. You might slip, but don’t beat yourself up. Tomorrow is a new day. Being aware of how damaging these words can be is the first step to helping your child improve their eating habits. You are doing great! Are there any other words/phrases that you think should be on this list? Leave a comment below. I would love to hear what you have to say on this topic. Is your child constipated and a picky eater? Are you worried that he/she is not getting enough nutrients and variety in their meals? Check out the “Constipation 101 program – How to help your child poop every day”. I teach you how to help your child have regular bowel movements and help your child enjoy many nutritious and delicious foods.